My mother would vomit if she saw those. This would be my very first Mother’s Day(YAY! ), and I’d LOVE to recieve this, in addition to some nice jewerly of course, lol! jewelry is a must on your 1st Mother’s Day! I dunno, some moms might want this sort of thing. Not mine, though. My mom would look at it, and go, “Uhm…why?” Not because of Hello Kitty, but because I got her a flower. She has a brown thumb. 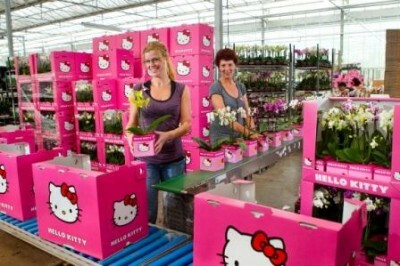 My Mum would hate these too; not because of the HK branding but just because she’s not really a pink person. Oh and because Mothering Sunday was way back in March too. Burning down that warehouse is in my arson-wish-list.